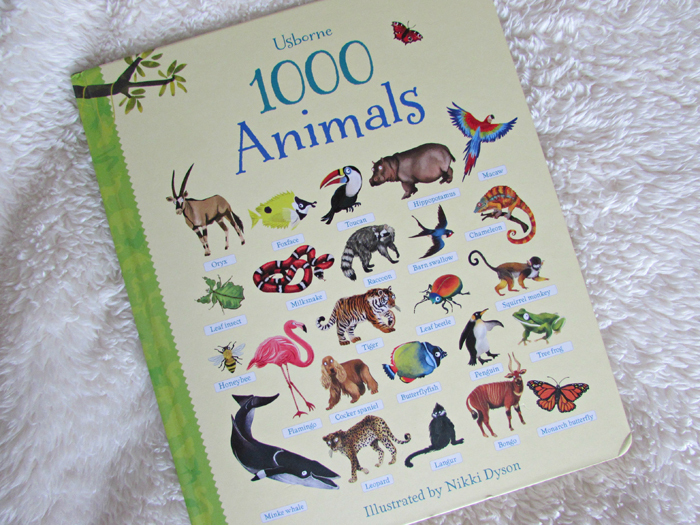 1000 Animals, published by Usborne, is one of those 'the title says it all' books. Inside this sturdy board book you'll find 20+ pages featuring 1000 individual animals, categorised in a variety of ways ranging from habitat to species and more. Some of the categories you'll find include - Monkeys and apes, Arctic animals, Flying insects, On the farm, All kinds of birds, Spots and stripes, Slithering snakes, Under the sea and so much more!! Each page features a vast number of animals, all illustrated with the animals name underneath. 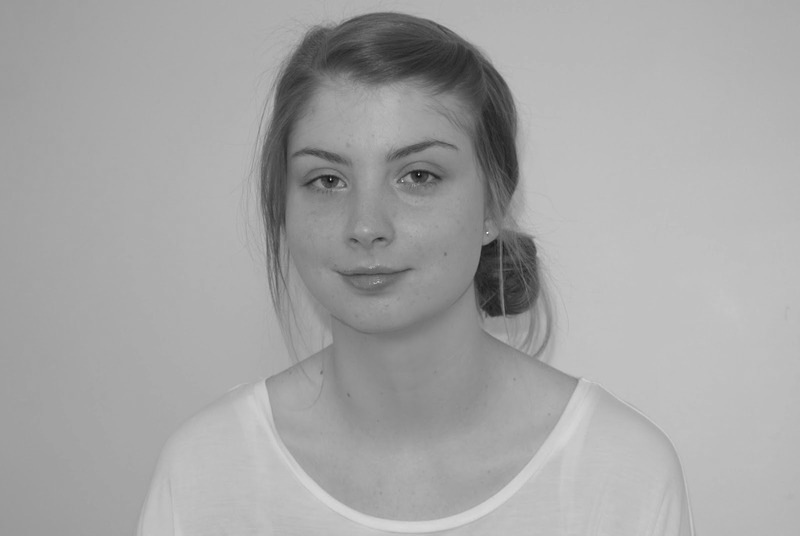 This isn't a simple book by any means; the animals are detailed and varied with specific names. You won't find an owl, or wolf, or bear, or snake in 1000 Animals; you'll find a snowy owl, an Ethiopian wolf, a sloth bear, a blue coral snake. My son is picking up on so many animals from this book - large and small - and I won't lie, I've even learnt a thing or two! 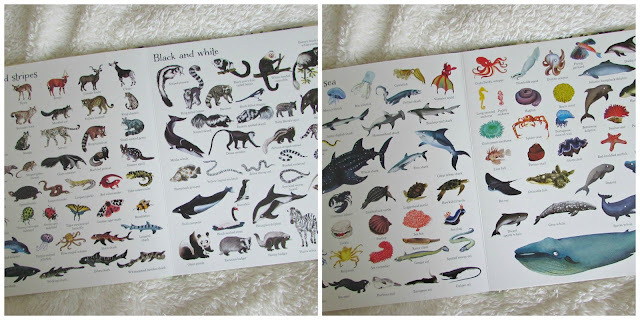 Children's books with an emphasis on animals often feature the animal in their natural habits, with background locations, however that isn't the case with 1000 Animals - for the most part, the animals are all on a white background. I realise that could sound a little boring, but that definitely isn't the case. I think the lack of background means little distraction, which in turn means more focus on the animals themselves. I've previously talked about my love of Usborne books, and how I (and toddler) enjoy the way in which they combine fun with education, and 1000 Animals is no different. Although aimed at a slightly older child than my own - my son is 2 and the target age is 4+ - I think this would be a staple book in any child's collection. As of late, toddler is picking up this book at least once a day to flick through and I see it being a book of choice for quite some time to come. As well as 1000 Animals, Usborne also have a couple of other books in the '1000 picture' range including 1000 Things That Go and 1000 Things To Eat as well a whole of bunch of sticker books too!